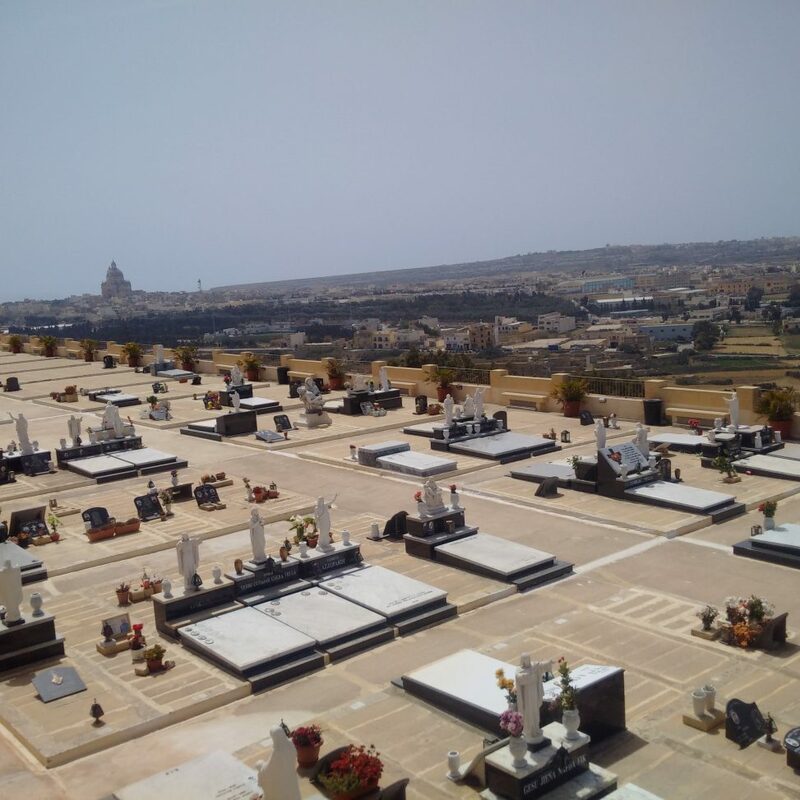 The Xagħra cemetery looks a nice place to rest after life. Located just outside the village, at the top of the steep road leading to Rabat. 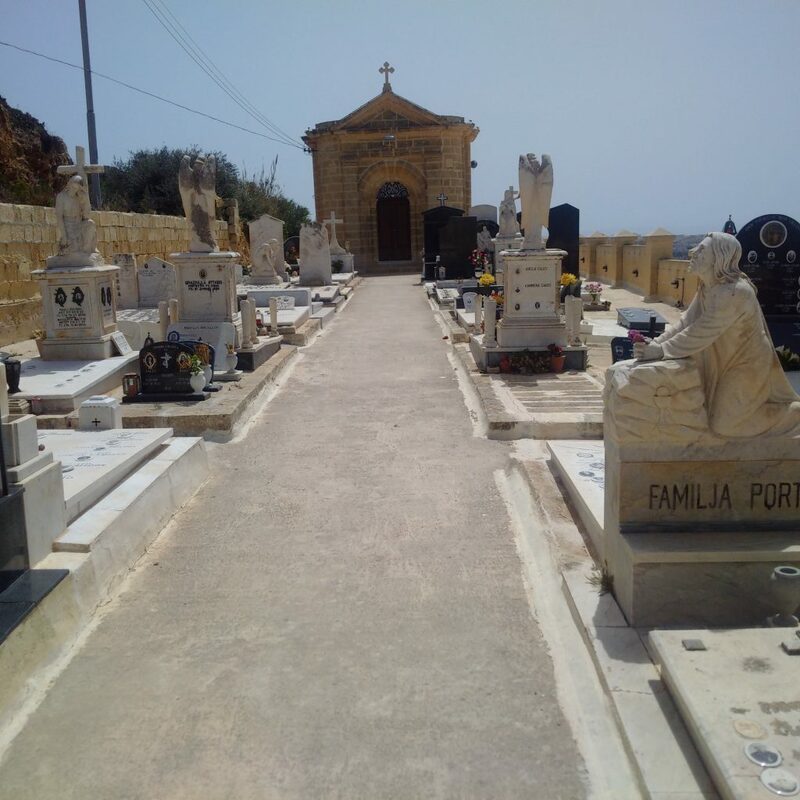 Xagħra is the second largest village in Gozo after Rabat with a population of 4900 and is the home of Ġgantija temples (3600-2500 BCE).